Redskins Read Program, team President Bruce Allen, First Lady of Virginia Dorothy McAuliffe and author Rachel Renee Russell visited fourth and fifth grade students on Tuesday. “We know you can’t be hungry for knowledge if you’re just plain hungry,” said First Lady of Virginia Dorothy McAuliffe after briefly speaking to a room full of fourth and fifth graders. Indeed, one feeds the other, a theme that was repeated and reinforced Tuesday morning at Crestwood Elementary School in Fairfax County, where the Washington Redskins Charitable Foundation teamed up with McAuliffe and Share our Strength to promote the importance of a nutritious breakfast and its correlation to academic success. Joining McAuliffe on stage, and then later in a couple of lucky classrooms, for the Redskins Read “Breakfast with Books” assembly were Redskins President Bruce Allen and “Dork Diaries” and New York Times best-selling author, Rachel Renee Russell. To celebrate the school’s achievements in the reading program, each speaker congratulated the participating classes and offered more words of encouragement – to continue to eat nutritious meals in the morning and stay dedicated to reading in a current digital environment that can be challenging for many to do so. Before getting students to yell out “Beat Cincinnati” in preparation for the Redskins’ next game, Allen handed out a football analogy for those in attendance regarding fundamentals – being mentally and physically in shape – and then awarded one class with special prize. 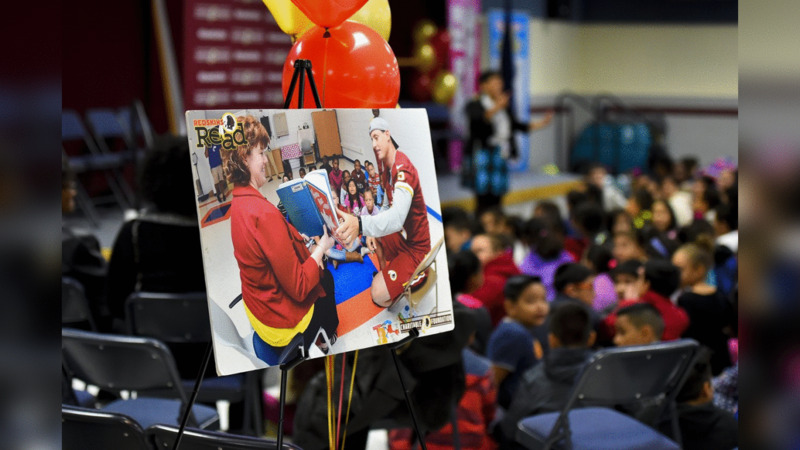 The Redskins and Share our Strength teamed up to promote the importance of a nutritious breakfast and academic success at the Redskins Read Breakfast and Books event at Crestwood Elementary School on October 25, 2016. McAuliffe, who has made healthy and affordable school meals a strong initiative during her time as First Lady, reflected on being an avid reader as a kid, too, obsessed with books about horses such as “Misty of Chincoteague” and “Black Beauty,” among others. Once the assembly was dismissed, she, Allen and Russell, along with her daughters Nikki and Erin, visited a couple of classrooms to answer more questions, hand out some breakfast – milk, juice, apples and cinnamon rolls – and read and listen to some passages from the “Dork Diaries” series, which offers stories about dealing with bullies and the challenges of adolescence. Nikki, the book series’ illustrator, sketched some classmates while Erin, a co-writer, read a chapter to the class.  Later, the trio handed out bookmarks and posters and other themed memorabilia as a reward for the class’s dedication to reading to start the school year. “It was wonderful seeing kids and knowing that we’re writing for kids, and hopefully employing seeing them in a positive way, it’s the whole reason why we write,” Russell said. “I think it’s important to inspire kids to aim high and to remember that no matter who they are, or what they’re going through, that they are precious and important, that they shouldn’t let any bully put them down, that they can learn and reach for the stars,” Nikki said.